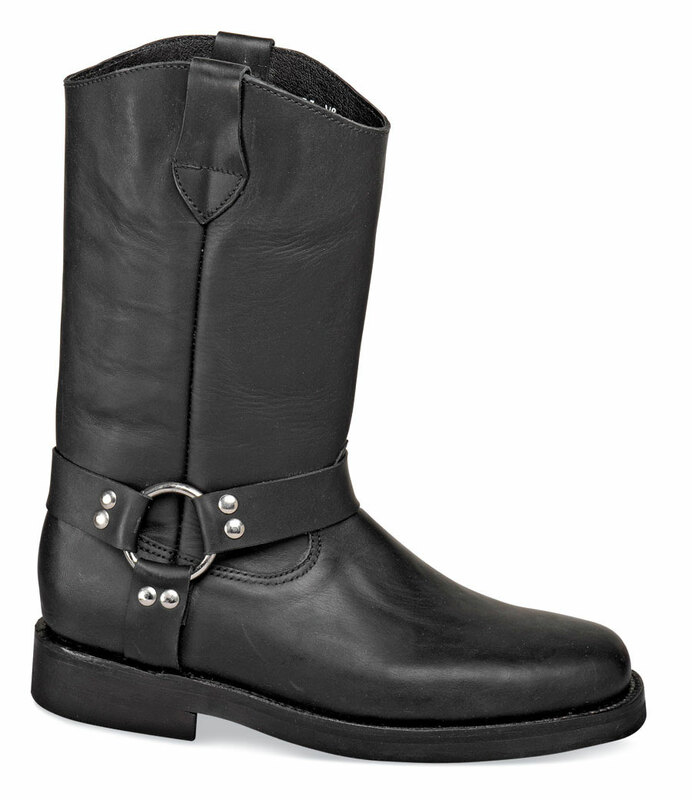 Our Hitchcock exclusive black 6E-wide Wellington boot has an unlined 11-inch stock and good-looking harness detailing with chrome hardware. 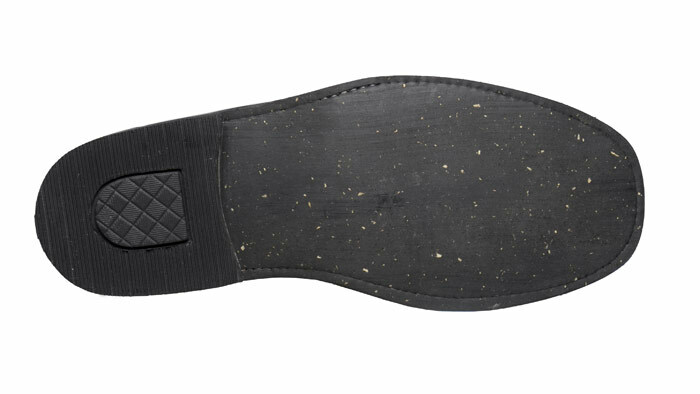 Slip-resisting cork and rubber outsole. Rubber heel. Removable cushion insert. Made on our own spacious Kentfield last. Genuine Goodyear welt construction. 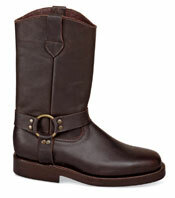 Men’s sizes 7–12, 13 and 14 in 3E, 5E and 6E.